This exotic import has been getting in yr scene for over ten years, and spinning mad tunes to packed dancefloors for nearly eight. A shot at fame, glamour and fortune came via a stellar debut at Embrace @ Club UK, and was followed up with the birth of the now institutional Cabaret Nocturne. 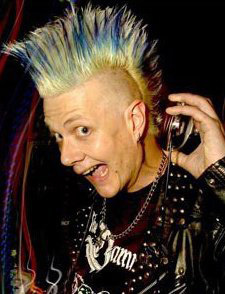 Tommy Rotten can frequently be found drunkenly mashing tracks at Cab Noc and DV8 and is available to spin his infamous archive of underground sounds at weddings, birthdays and barmitzvahs. His advice to Euchronians this year? "Be prepared for your feet to bleed almost as much as your ears will, and get me a bourbon, double thanks." Previous gigs:Cabaret Nocturne, Slashdance, Lovecats, Embrace, Gulag, Carmilla's, P.E.W.